I do love the holiday season: we’re usually getting our first snows this time of year, so the world outside looks just like a Christmas card and I’m not tired of it yet; I like to decorate my house and carve out a few minutes in my busy week to bake deliciously unhealthy treats; I love giving the perfect gifts to family and friends. I may be viewing the world through carol-tinted glasses, but at least for a few weeks, all seems merry and bright. That’s not to say that I also don’t get totally fried this time of year — there are a lot of demands on our time, after all, between social obligations, shopping, cooking, cleaning and all the various things that the modern holiday season claims we need to do (plus, you know, spend time with our horses!). For those of us trying to make philanthropic efforts this holiday season, the choices are sometimes almost overwhelming — there are so many great causes and organizations that are all in need that the choice itself can be agonizing. Draper Therapies is making its own philanthropic efforts this year that allows you to get the perfect gift for a loved one while also giving back to animals in need — that’s a win-win for everyone! 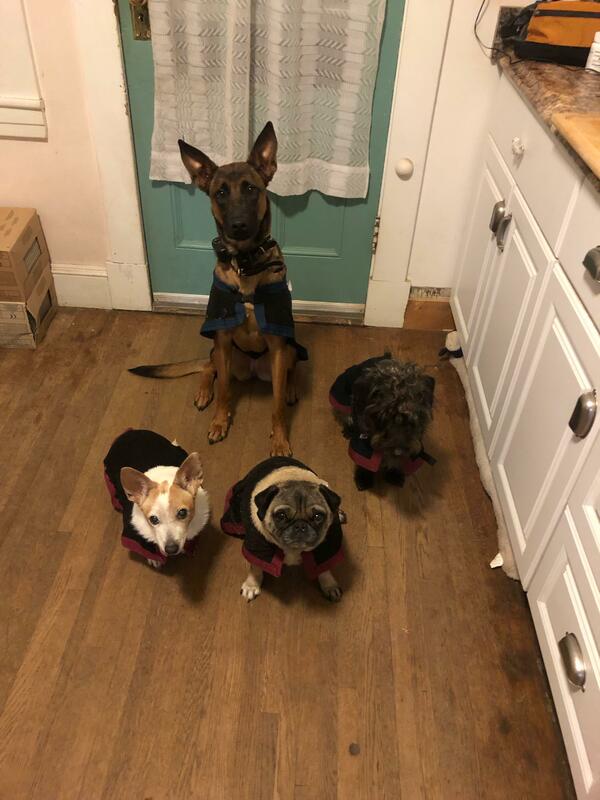 Draper Therapies is donating 50% of the profits from sales of its Draped In Health Blankets to Beastly Rescue of New York City, helping the organization further its mission to rescue and responsibly place homeless animals. Beastly Rescue is a seven-woman all-volunteer team that works with the New York Animal Care and Control Center (NYACC). NYACC is not a no-kill shelter, meaning that animals in the shelter may be euthanized for space, minor or major health issues or behavioral problems. Most of the dogs at NYACC were relinquished by their owners, and the “super urgent” list is full of animals in need of rescue before their time is up. Many of these are seniors or individuals with health or behavioral problems in need of attention. Beastly Rescue rescues these dogs, vets them and places them with foster homes until they can be adopted. Helping Beastly means that more dogs can make it out of the shelter and into safe, loving homes. 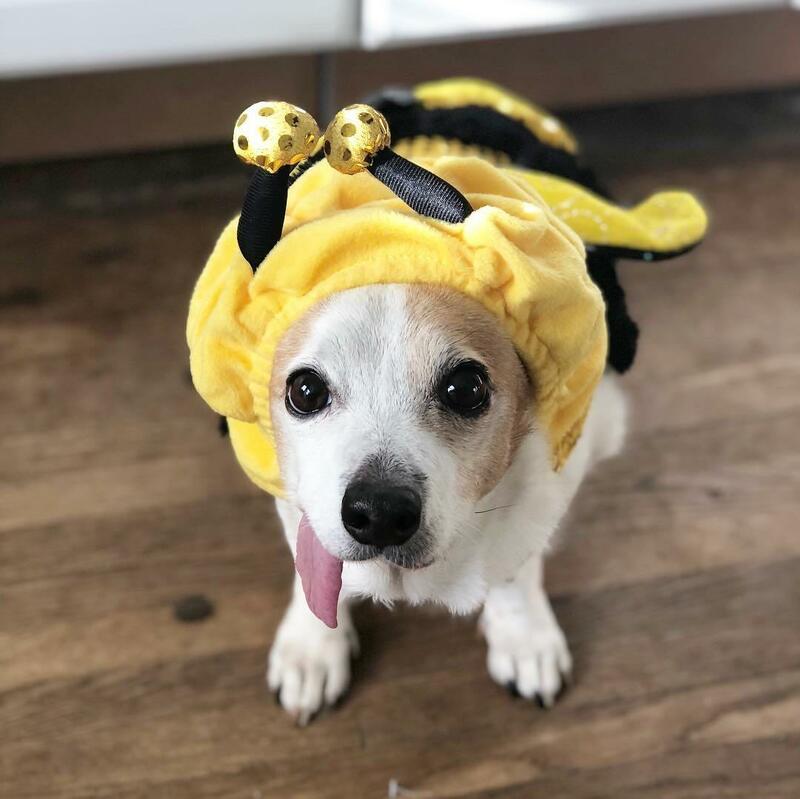 Becky Shipps of Draper Therapies has experienced firsthand the good work that Beastly Rescue does: in July of 2017, Shipps found Clementine, who had just been paired with a foster home through Beastly. Clementine has few teeth, so her tongue endearingly hangs out of her mouth. 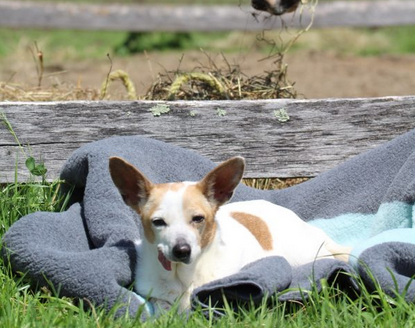 She’s estimated to be anywhere from nine to 15, but settled into Shipps’ pack quickly and happily and is now enjoying life as a loved pet. 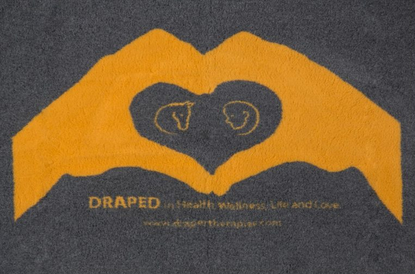 Inspired to help other rescue pets in need, Draper Therapies is again donating to Beastly Rescue this holiday season: through December 31, 50% of profits from sales of Draped In Health Blankets will be donated. These blankets are the perfect gift for those individuals who might be hard to shop for… or anyone who enjoys being cozy and warm! The blankets feature Celliant technology, reflecting energy back into the body with marked therapeutic benefits including increased blood flow, faster recovery and better comfort. The Draped In Health blankets are available in three color patterns and are made in the US from surplus materials. 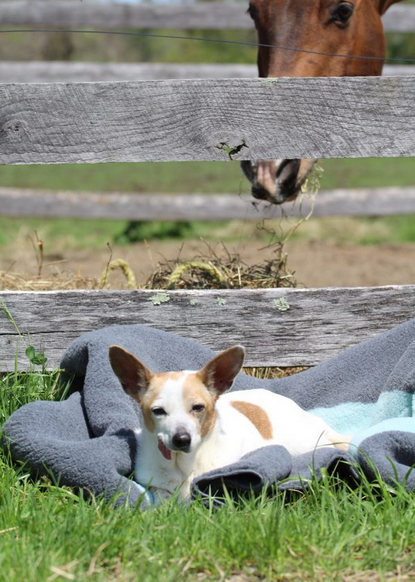 If you have someone on your list who could benefit from cozying up in a Draped In Health Blanket this winter, you’ll be helping a shelter pet find a forever home — what could be better than that?